With a hint of white wash to finish it off, this newly built trestle farm table made its way to a new home. It was built from reclaimed barn beams which are 2” thick and have a good bit of pit saw marks when they were first milled 68 years ago. It’s finished at 10’x40” all solid wood. 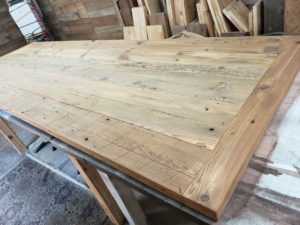 Lots of character has been left into the making of this table. 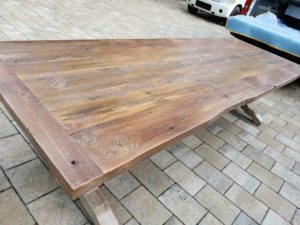 It is a Naples farmhouse reclaimed wood table all the way. 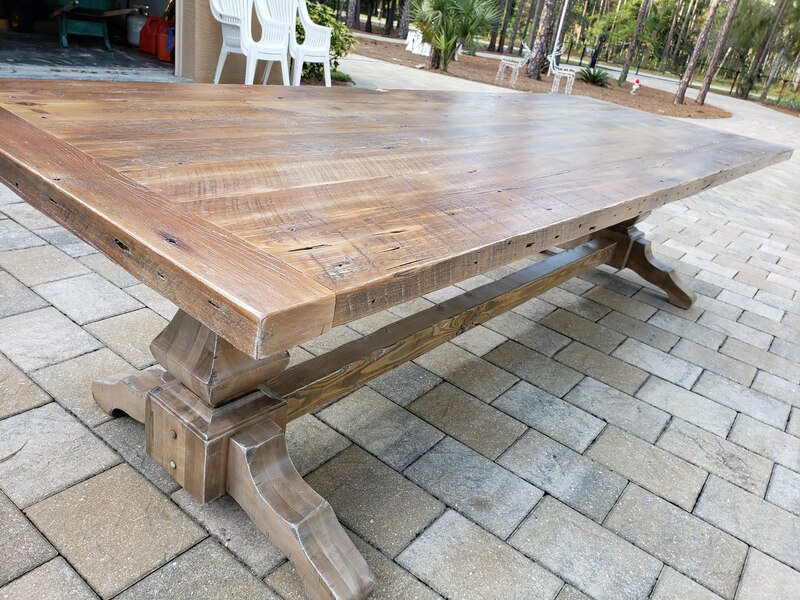 It’s hard to find Naples Farm Tables but is is possible here in SW Florida. This one will be one to last this family generations to come.